Okay, I admit it: I definitely judge a book by its cover. But even more than that: I judge a book by its title. I saw this book in the “Self-Sufficient” section of Barnes and Noble (forgive me, small independent bookstores! you are still my number-one! ), and I bought it. I love the title, and no, I do not care that it was coined to catch people just like me, those of us who are easily amused. I went home immediately and started reading, getting engrossed in Kimball’s love story (Mark was just about to make a move!) when, to my horror, I found that the book was MISSING 30 PAGES! You cannot imagine my anger. There was no way I was going to read ahead, so I had to wait two days til I could get a new copy. I am about 2/3 of the way done now, and I love it. Kimball is honest and I find that pretty refreshing; she doesn’t pretend that the love she and Mark have makes farming easy. And she’s had her own mishaps with dumb mistakes. One of the gorgeous and highly annoying things about Mark’s personality is that, once he bites into an idea, he’ll worry it to death, exploring every possibility, expanding it to the point of absurdity and then shrinking it back down, molding it around different premises, and bending logic, when necessary, to cram it into a given situation. No matter what he is doing or saying or thinking, the idea is perking away in the background of his formidable brain, details accruing (57). A farm is a form of expression, a physical manifestation of the inner life of its farmers. The farm will reveal who you are, whether you like it or not. That’s art (157). I was in love with the work, too, despite its overabundance. The world had always seemed disturbingly chaotic to me, my choices too bewildering. I was fundamentally happier, I found, with my focus on the ground. For the first time, I could clearly see the connection between my actions and their consequences. I knew why I was doing what I was doing, and I believed in it (158). The only annoying thing, then, is the fact that I was not the person to write this book. 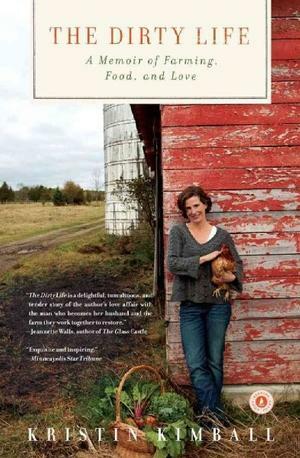 This entry was posted in good reads, road to freedom, simple life and tagged books, gardening, reading, writing on April 22, 2012 by catherine_hawkins.